By following these steps - battle tested by insurance companies, private hospitals, IT vendors, and many others - you set yourself and your chatbot on a path to remarkable results. Decide what you want to achieve: What is the purpose of your chatbot? Whether it is to increase sales, improve customer experience, or provide world's best customer service doesn’t matter, the main thing is that you set a clear goal. Once you decide what to work towards, it becomes much more straightforward to select a chatbot vendor, form a project team, and define both KPIs and scope of the project. You should make both short and long-term plans. On short-term work towards easy wins. When entering the world of bots, make your plans so you can achieve proof of concept quickly and with reasonably sized investment. For example, have your chatbot answer frequently asked questions without any integrations to CRM and other systems. At the same time create at least preliminary plans about what happens after a successful PoC. What else could your chatbot do? Could you teach it additional "skills" through integrations? When is the right time to build another chatbot? Also - and this is something to consider very seriously - on the long run, where the expertise around chatbots will accumulate: Are chatbots something your organisation should have knowhow in-house (my recommendation) or can you outsource this knowledge to external agencies and outsourcing partners? Launching a chatbot is a commitment. In a similar way as to training a new customer service agent, you need to have resources available for building and teaching a chatbot. Based on our expertise, we recommend forming a project team for implementing a chatbot. We have found that project teams with representation from business development, customer service (both manager and agents) and IT get results fastest. Having IT attend is not mandatory but at latest if and when integrations come to play, it’s handy to have them on speed dial. We have seen best results from the projects where 2-3 customer service representatives are involved from day one. These agents know the questions they get asked most often, and they have brand-approved answers for those questions at hand. As an additional plus, involving customer service workers from the beginning helps you to position company’s virtual employee as a new helpful colleague instead of potentially job stealing terminator. A chatbot can become only so good without customer contact. So instead of spending too much time internally teaching it, go live! Every new employee has to start somewhere. 1) Test bot with (extended) project team. 2) Implement bot on a test/development/hidden website and have a larger group of employees play with it (they are usually happy to test a chatbot). And then the training begins! On day one, we have seen chatbots being able to answer between 15 - 68% of enquiries. You should have a process in place to monitor chatbots performance and to teach it new answers. Best people to do this are your customer service reps. If you follow our recommendation, your project team includes customer service agents who are at this stage freshly minted chatbot experts. After the go live, they are ready to take their new role as ”bot whisperers” - customer service workers who, among their other duties, are responsible for teaching and testing the chatbot. Ilkka Vertanen is an expert on using live chat, chatbots, and AI for providing excellent customer experience. 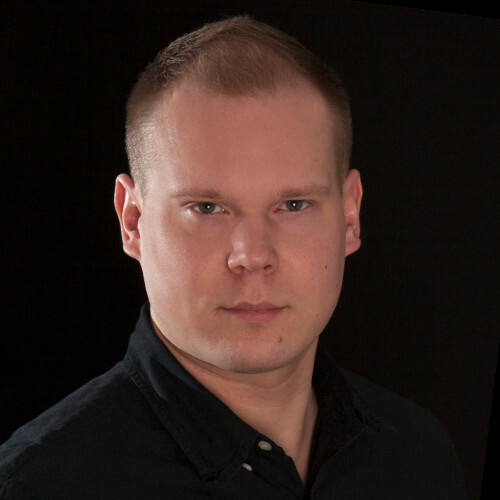 As Sales Director of GetJenny, Ilkka helps companies of all sizes to serve their customers better 24/7/365. Before joining GetJenny, Ilkka helped biggest corporations in the UK and Nordics to optimise live chat sales and customer service as part of giosg crew. Ilkka has an intimate understanding how to combine strengths of giosg live and Jenny chatbot. GetJenny is a platform for building chatbots to provide better customer experience. With Jenny chatbot, companies can offer instant automated responses to customer enquiries. On giosg live, Jenny also increases live chat agents' performance by suggesting smarter canned answers. By automating over 70% of live chat conversations and improving response times, Jenny enhances customer satisfaction, drives new sales, and reduces customer service overhead. To learn more about GetJenny visit GetJenny.com and read our success story with giosg.com and If Insurance. Or, if you want to learn more about how to integrate chatbots with your giosg account, just come and chat with us!